Cyber-shot is Sony's line of point-and-shoot digital cameras. Sony Cyber-shot camera features Carl Zeiss trademarked lenses and a panoramic technology in order to guarantee the user to shoot wide format images using only one lens. Those excellent photos can be delivered and displayed in 2D or 3D and the device produces little noise. 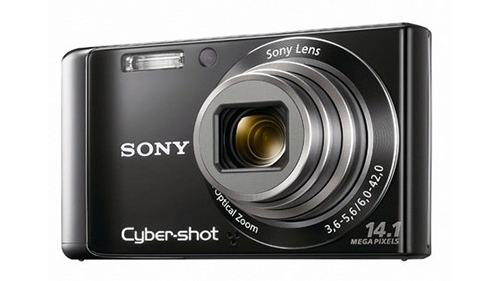 All Cyber-shot cameras accept Sony's proprietary Memory Stick or Memory PRO Duo flash memory. Select models have also supported CompactFlash. Current Cyber-shot cameras support Memory Stick PRO Duo, SD and SDHC. The current lineup of Sony's Cyber-shot lineup consists of R series, T Series, H series and W series and the popular camera models including Sony DSC-RX100M II, Sony DSC-W710, Sony Cyber-shot DSC-TX20, Sony DSC-HX50V, Sony DSC-RX100, Sony Cyber-shot DSC-HX200V, Sony Cyber-shot DSC-WX50, Sony DSC-W710. However, the great photos or recorded on your camera storage media may often lose due to various unpredictable reasons. Maybe they click delete button by accident, or there is something wrong with cameras' memory cards, such as virus infection or reformatting by error. It's better to keep a good photo recovery tool in case of data lose. 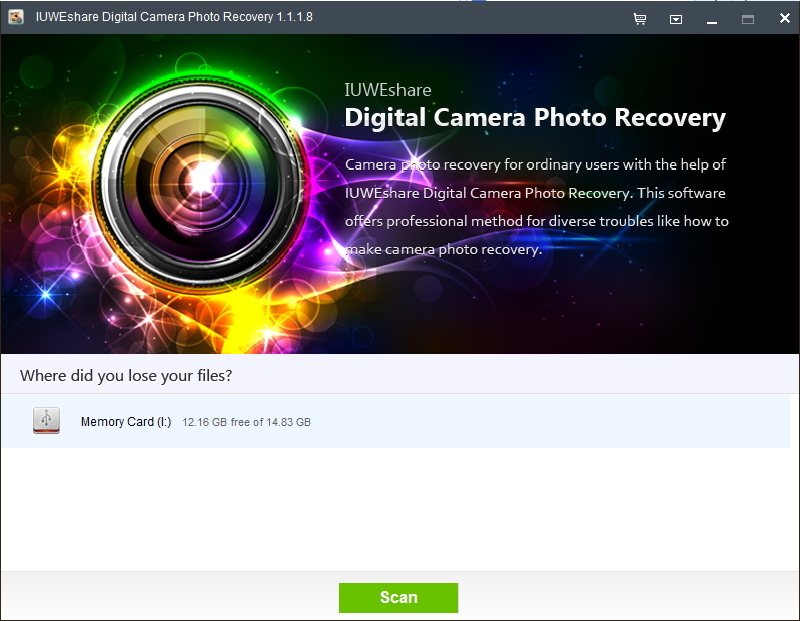 IUWEshare Digital Camera Photo Recovery(Win/Mac) allowed you to recover deleted/lost photos from Sony Cyber-shot R/T/H/W series camera Memory Stick Duo, Memory Stick PRO Duo, Memory Stick PRO-HG Duo or SD/SDHC Memory Card. Step 1: Connect Sony Cyber-shot Camera storage device to computer. Remove the SD card from Sony Cyber-shot and connect the card to the computer with a card reader. Step 3: Preview and recover deleted photos/videos from Sony Cyber-shot.